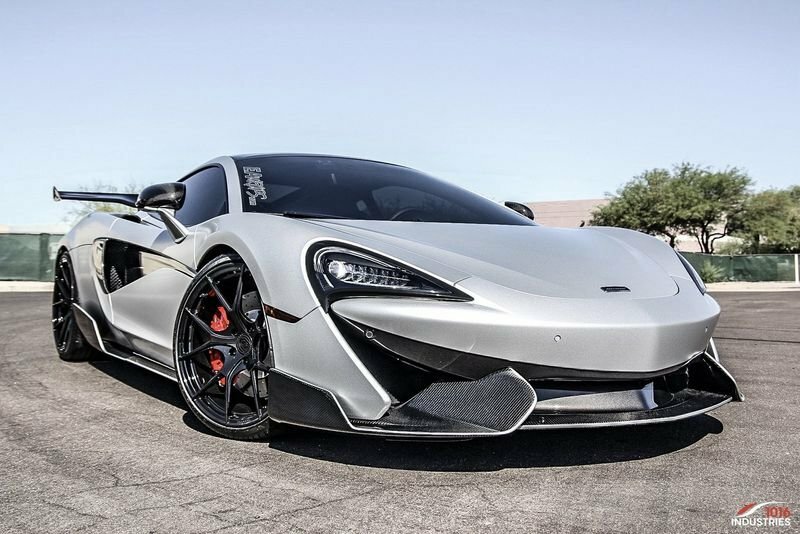 1016 Industries has introduced their new tuning program for the McLaren Sports Series, which consist of the 540 C, 570 C and 570 GT. On the styling front, the cars are equipped with a carbon fibre front splitter and "exaggerated" aero blades. The sporty feel continues further to the back as the company installed new side blades which give the model an aggressive appearance. Other notable upgrade features include a new hood and an adjustable wing, the latter offers eight levels of height adjustment as well as five different fixed angles. Interested drivers looking for more meaningful upgrades to their McLaren can order an intelligent engine control module which enables the V8 to produce an additional 50-60 horsepower and 70-80 lb-ft of torque. The company also offers a transmission recalibration program which has "carefully re-imaged torque schedules, gearshift points, gearshift speeds and, most importantly, intuitive intelligence between the engine and throttle mechanisms." 1016 Industries says the power upgrades have an optional app that can be used to adjust settings on the fly. This will allow owners to make their own adjustments or fully disengage the performance modifications altogether. The company declined to say how fast the upgraded Sports Series is but the 570 S Coupe can accelerate from 0-60 mph in 3.1 seconds thanks to the twin-turbo 3.8 litres V8 engine that develops 562 horsepower and 443 lb-ft of torque.